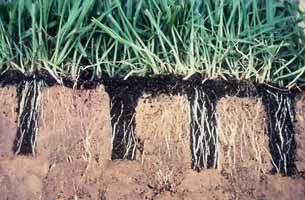 Compost is a unique product which can improve the physical, chemical (nutritional) and biological properties of soil and plant growth media. These characteristics make compost a valuable product which can be used in a variety of applications. High quality composts have been produced from leaf and yard debris, biosolids, municipal solid waste, animal manures, agricultural by-products, food and a variety of industrial by-products. 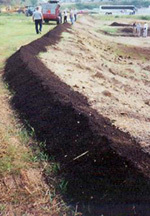 The specific characteristics that a compost product possesses determines in which markets it can most easily be sold and in which applications it can best be utilized. Because of this fact, as well as feedstock related issues and stigmas, geographic, demographic, and climatic variances and the variability of market segments, market development strategies are not always transferable from location to location. In fact, it is understood that compost markets are local or regional in nature. To further complicate compost market development, today, compost production is not typically governed by market demand, but by the economics of waste management, as well as environmental regulation. Simply, as composting has become an economically viable waste management tool, greater volumes of compost have been produced. As greater volumes of compost have been produced, market development has received more attention. Developing long term paying markets is not only necessary to optimize compost facility management, but compost sales revenues can generate substantial income which is important to the bottom line. Market development requires time and expertise, as well as resources. Develop usage and product specifications. 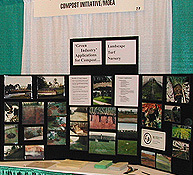 To complete worthwhile compost market research and to develop successful compost marketing programs, it is essential to have an understanding of various areas, including: end use applications, product quality issues, user needs, government regulations, prior research, the green industry (agricultural and lawn & garden), and basic marketing/sales. R. Alexander Associates, Inc. can provide the technical expertise, historical insights, and practical marketing experience necessary to assist its clients in developing and operating successful marketing programs. Statewide market research and development programs. R. Alexander Associates, Inc. emphasizes the use of creative and integrated approaches that create long-term and economically viable market development solutions. Our approaches are based on years of practical market development experience, market research experience throughout North America and a broad based knowledge of end use markets. 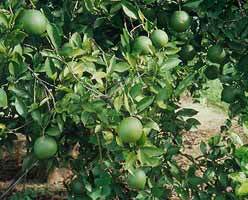 Evaluate horticultural, turf and agricultural markets.